Along with increasing hours of sunlight and rising temperatures, spring brings an abundance of colors and options in the produce aisles. This is the area of the grocery store where indulgence is encouraged! A 2014 study found that eating seven or more servings of fruit and vegetables can extend life expectancy “a staggering 42%”. 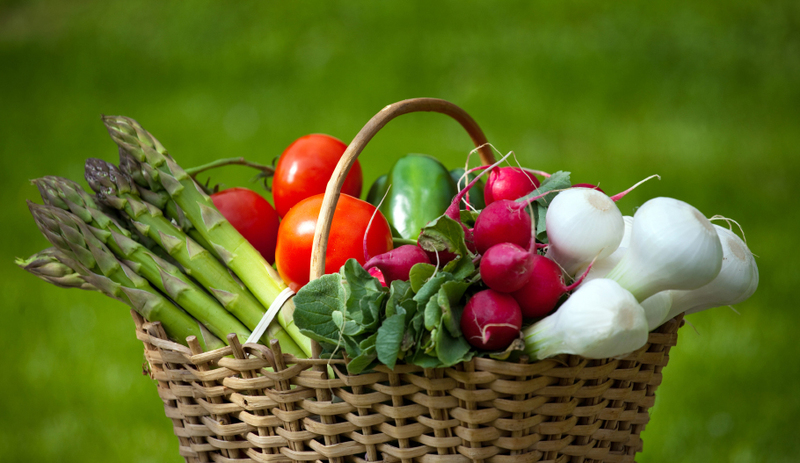 And, not surprisingly, the report found that fresh vegetables extend life more effectively than canned. The paper, published in the Journal of Epidemiology and Community Health, concluded that the more fruits and vegetables we eat, the less likely we are to die at any age. This brings us to the on-going question of raw vs. cooked vegetables. Ayurveda’s main text, the Charak Samhita, recommends primarily cooked foods because cooking increases the element of agni that is essential for the assimilation of nutrients and their transformation into the bodily tissues. The higher proportion of nutrients available in raw food is useless if the food can’t be digested, absorbed and assimilated. In order to choose the best option for your physiology, it is helpful to understand your state of doshic balance and imbalance, the strength of your digestion, and to take into account seasonal influences. In general, those of with Pitta, or Pitta/Kapha body types who do not have a significant Vata imbalance can handle raw foods in their diet, especially in the late spring and summer seasons. This is because the element of “fire” or “agni” is very lively in their constitutions and they benefit from a cooling diet. Never include ice-cold foods or drinks with your meal. Allow refrigerated foods to come to room temperature before eating. Next week we’ll look at which vegetables offer more nutritional value when they have been cooked and which offer more nutritional value when eaten raw. This entry was posted in Kapha diet, Pitta diet, Vata diet and tagged Ayurveda and diet, Ayurveda diet, Ayurveda Diet tips, Ayurveda Digestion, Kapha diet, Pitta diet, Raw food diet, Vata diet by The Raj blog. Bookmark the permalink.